Ever since watching Michael Voltaggio’s stint on Top Chef (season 6), I’ve been reppin’ Team Voltaggio all day, errday! Despite being a big fan, I never got the chance to try his food while he was at The Dining Room. The only thing that comforted me was knowing that Voltaggio would be opening his own restaurant soon. Originally rumored to open in July, ink. hit some speed bumps and is now slated to open in a couple of weeks (mid-September-ish). 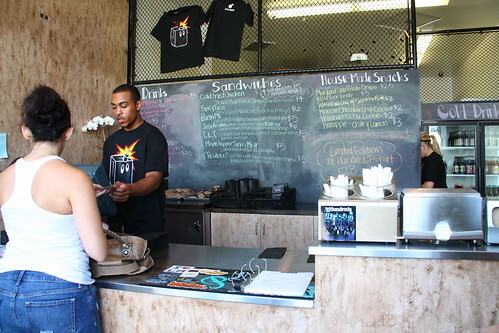 In the meantime, fans like myself were able to quell their impatience by heading a few doors down to ink.sack, Voltaggio’s new sandwich shop. 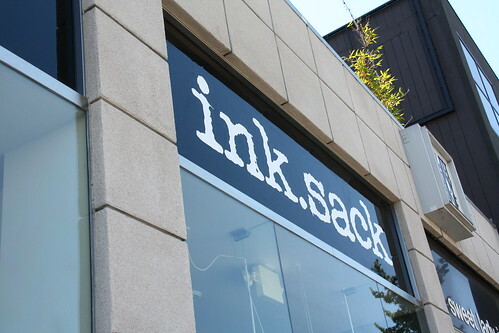 I followed a tip and arrived at ink.sack at around 12:30PM on Sunday. Parking was easy and I was the third person in line. I ordered 5 sandwiches, 1 cookie and 1 drink to share with Henry. As I stood at a table waiting for our food (no seats, standing room only), the line grew and flowed out the door. In less than 10 minutes, our sandwiches were ready and I picked up the black paper bag at the counter. 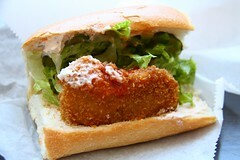 First up was the Cold Fried Chicken, which reminded me of a (cold) KFC snacker. The only difference on the CFC was the special sauce, Gindo’s Spice of Life, which had a nice kick, but was not anything close to amazing. I found the Jose Andres to be very salty – almost to the point of being inedible. 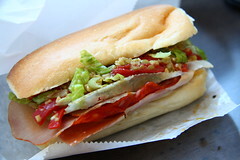 Others like this sandwich, it just wasn’t for me. The Reuben sounded interesting on paper. Sandwich with beef tongue? Cool, right? Yea, well, even though the meat was tender, I couldn’t tell I was eating tongue. The sauer kraut didn’t have any tang either and tasted like boiled cabbage. 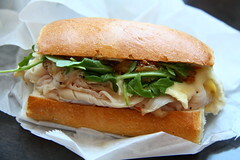 As for the Maple Pepper Turkey Melt, the highlight was the mostarda. 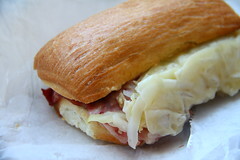 Without it, the sandwich would have been as bland and boring as the Reuben. 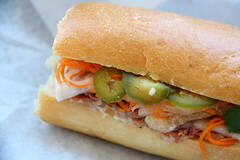 Of all the sandwiches, I liked the Banh Mi the most. However, it tasted like any other banh mi. 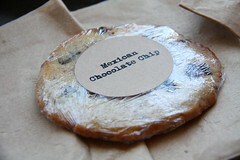 I expected the Mexican Chocolate Chip Cookie to have some kind of heat or spice, but it tasted like any other chocolate chip cookie. There was actually no heat whatsoever. I wish I could say I was impressed by Voltaggio’s creations, but I wasn’t. Maybe I expected too much. As a fellow Yelper stated in his review, hype is a horrible thing. 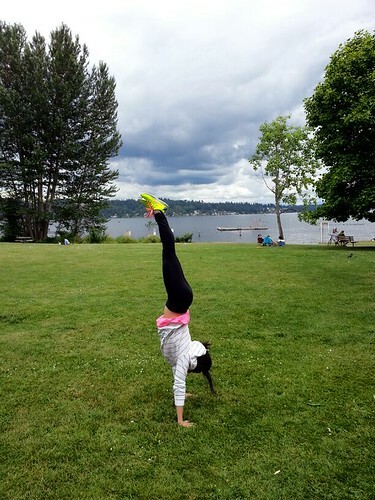 This entry was posted in this girl eats and tagged ink, sandwiches, Top Chef, Voltaggio. Bookmark the permalink.